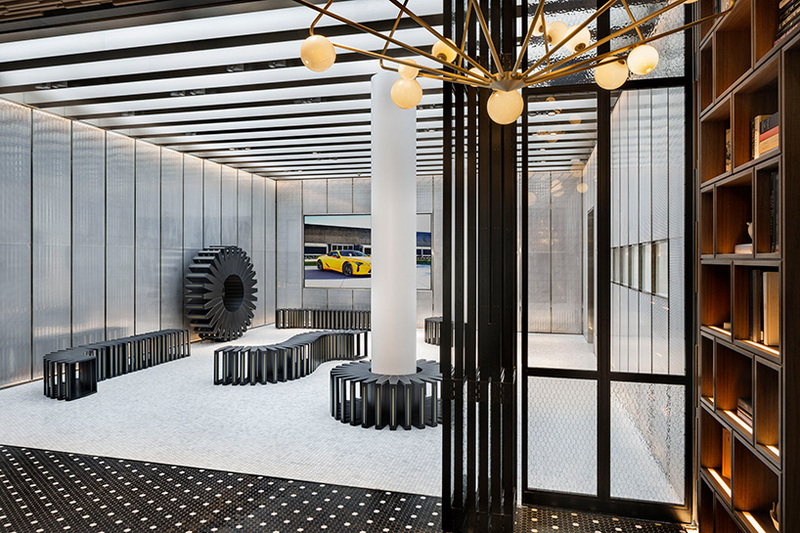 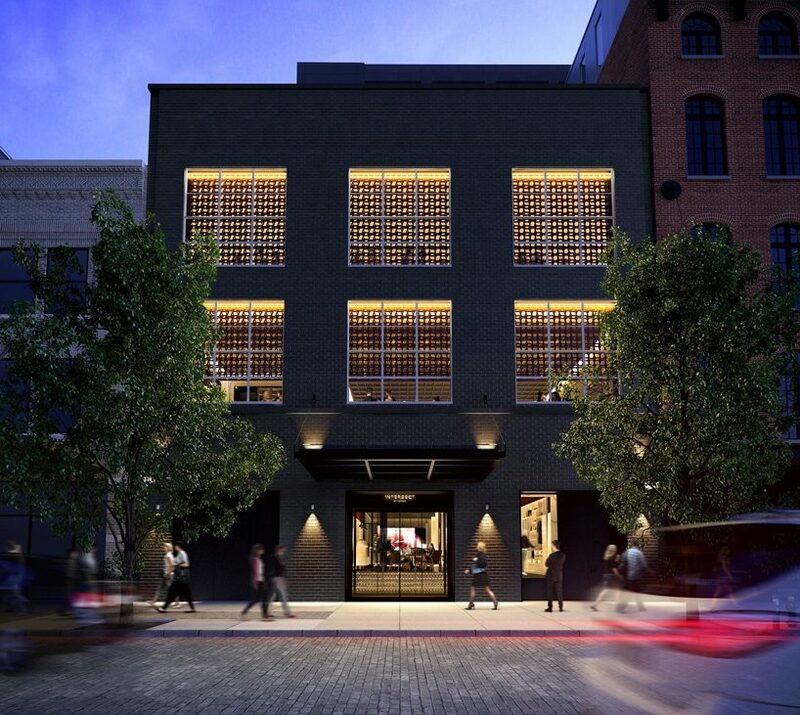 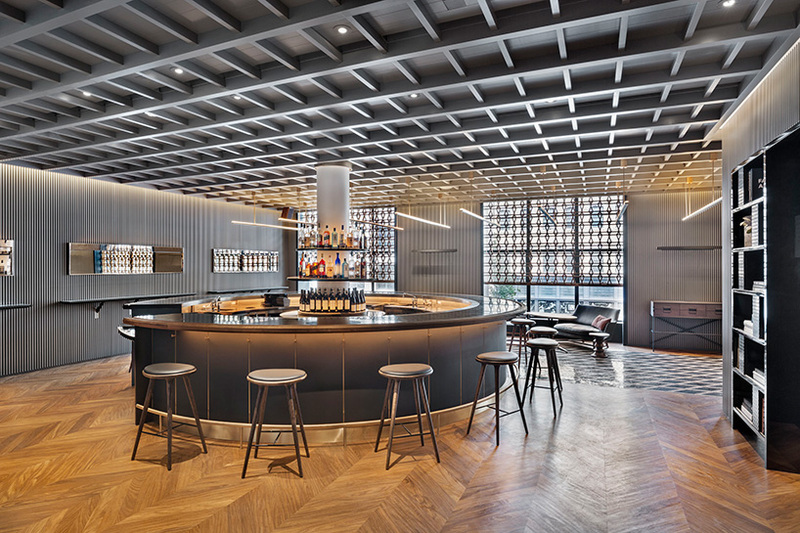 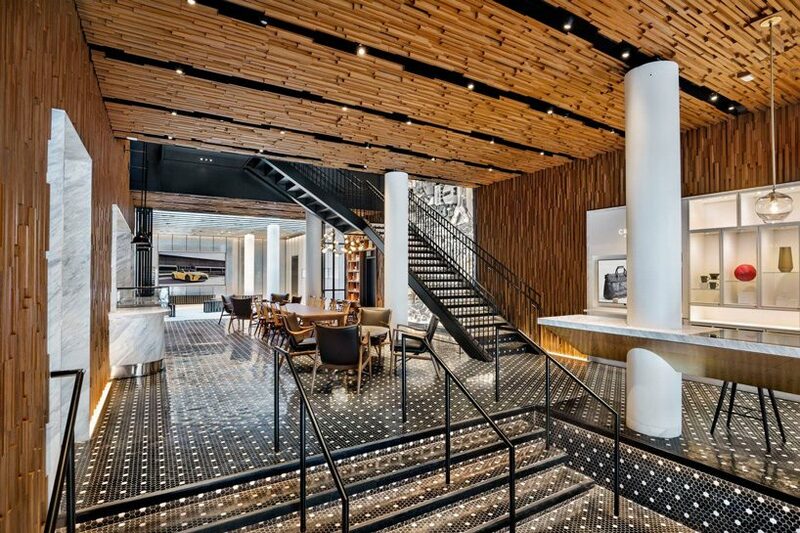 following earlier launches in tokyo and dubai, INTERSECT by LEXUS has taken its wonderwall-designed interiors to the heart of new york’s meatpacking district. 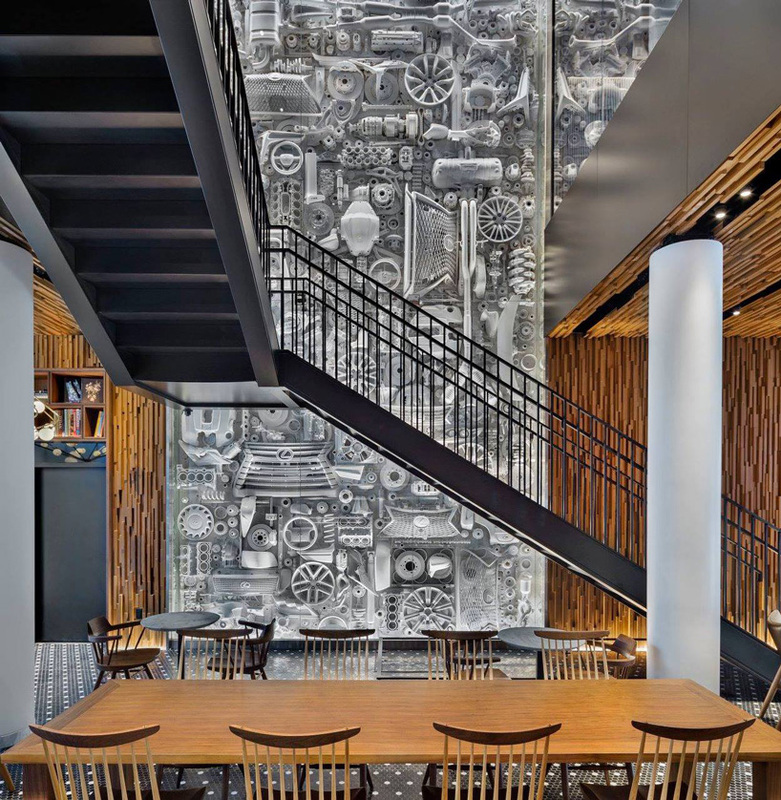 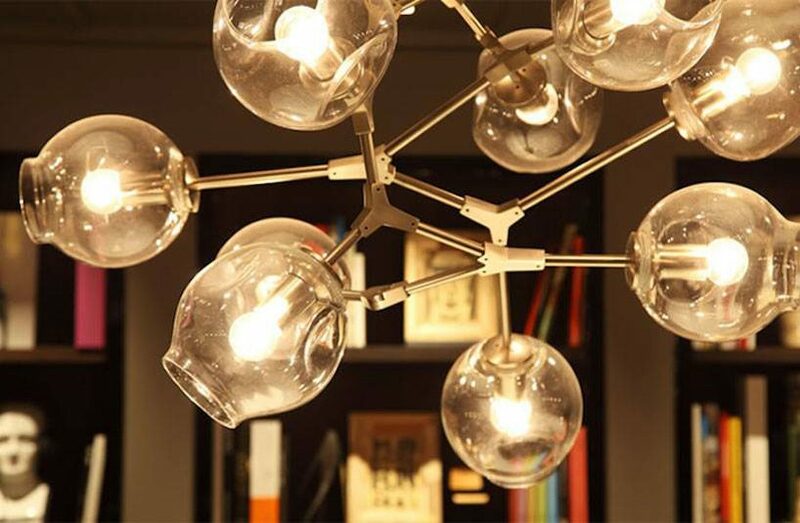 with a restaurant, café, cocktail bar and lounge, and public & private gallery space, all created by masamichi katayama of wonderwall, the dynamic lifestyle hub offers an immersive cultural experience to the city and beyond. 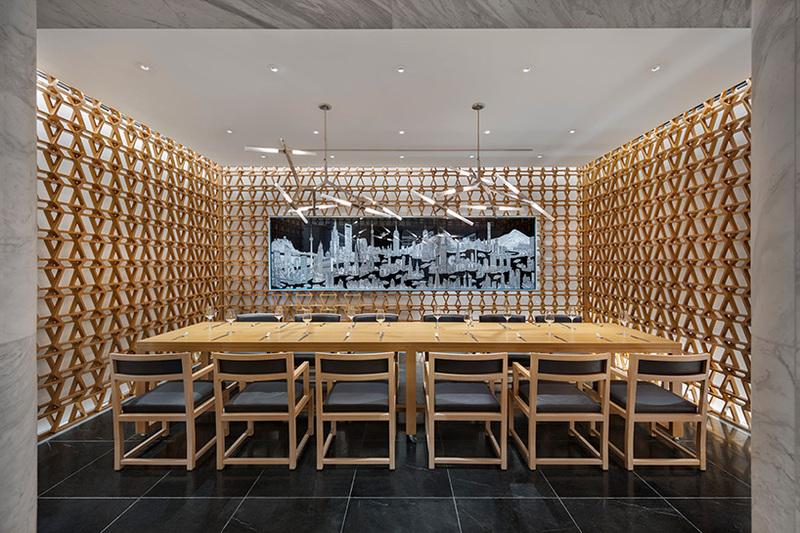 wonderwall has linked new york’s INTERSECT by LEXUS with the other two hubs of tokyo and dubai through similar aesthetic references in all its spaces. 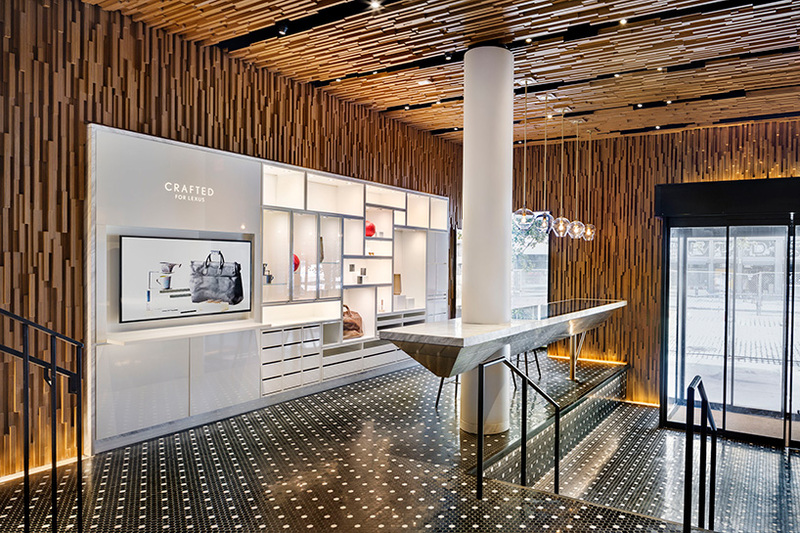 split in three levels, the ground floor houses the café and the crafted for LEXUS retail area, and public galleries, which include product concepts, custom designs, and installations. 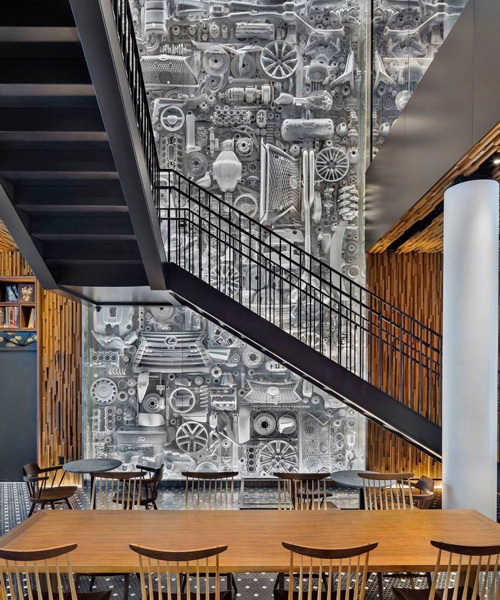 on the second level visitors can find a full-service restaurant and cocktail bar & lounge, while the third floor includes the private gallery, which can be transformed for a multitude of culturally relevant programming concepts. 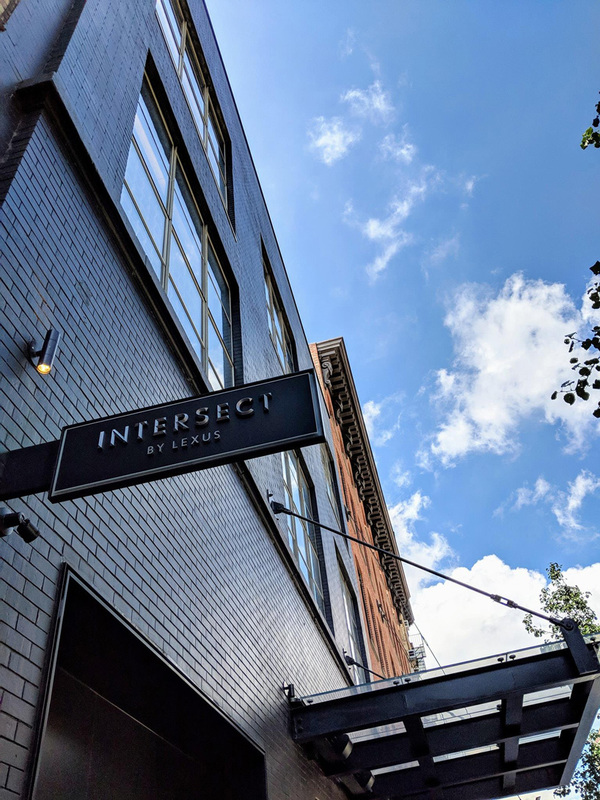 INTERSECT by LEXUS calls upon visionaries to collaborate on experiential programming that engages with the building, community and five core pillars – culinary, design, entertainment, hospitality, and technology. 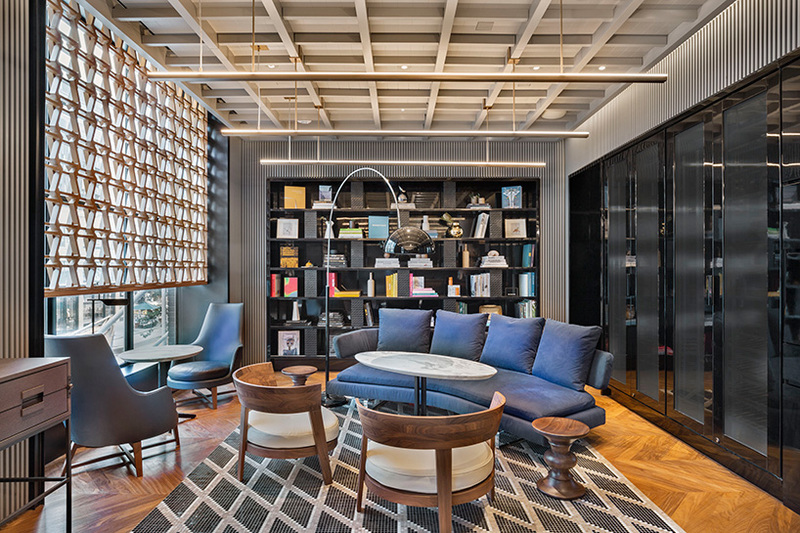 at its heart, the hub is a manifestation of omotenashi, a LEXUS core value characterized by an unwavering commitment to exceptional hospitality.